An investigation by the Atlantic Highlands Police Department was conducted in an attempt to identify the human skeletal remains. The human skeletal remains were mapped out and placed in the National Police computer system for all law enforcement departments to compare to their missing persons. The local media from the tri-state area converged on the small town of Atlantic Highlands and broadcast the human skeletal recovery for about four straight days. Massive medical coverage was aired and a special program called Crime Beat highlighted this case. No identification was made. 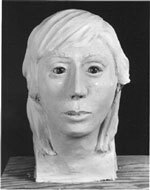 In 1992, with the assistance of the FBI, a clay reconstruction was made over the human skull and is a possible resemblance of what this recovered female skeletal remains may have looked like. Additionally, several parts of the skeletal remains were sent to LabCorp in Research Triangle Park, North Carolina for mitochondrial DNA profiling in 1997. 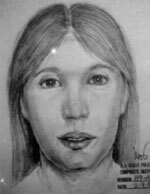 The Monmouth County Prosecutor’s Office and the Atlantic Highlands Police Department now have a DNA profile that can be used to link this female subject to a family member as well as dental records. Anyone with information concerning this matter is asked to call the Monmouth County Prosecutor’s Office at (800) 533-7443 or the Atlantic Highlands Police Department at (732) 291-1212.